East Durham College men’s team have been crowned 2016 north east college’s league champions. The men’s first team, led by former Sunderland and Hartlepool United defender, Darren Williams, rounded off their campaign with a 4-3 win against rivals Gateshead College. 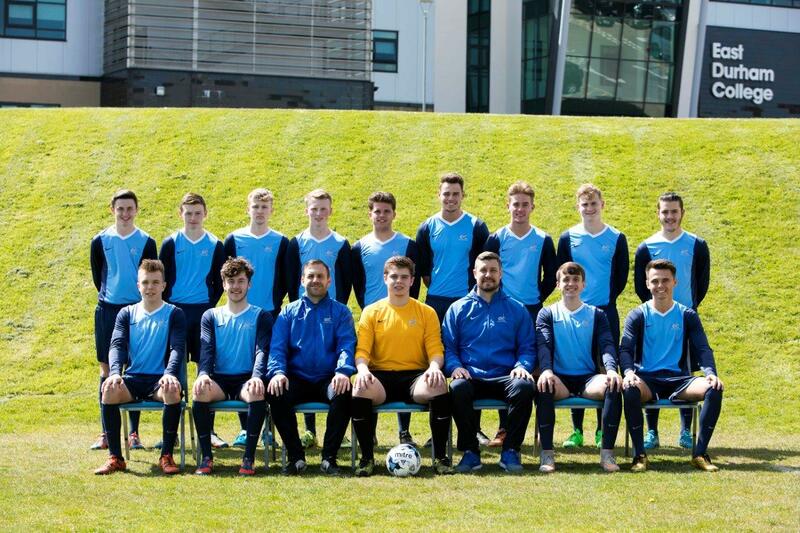 This meant the team finished the season top of the English College’s Football League North East Division One by 13 points having only lost one game all season. Manager, Darren Williams, is really proud of his team’s achievement over the past year. Darren said: “This team have been a fantastic group to coach. “They have all worked really hard as a unit over the past year to get to the top of the league and once they were there they didn’t want to let it slip. East Durham College’s, Head Football Coach and former Sunderland defender, Darren Holloway, added: “This team have been brilliant all season, they are a great group of lads. “Darren [Williams] has helped them achieve a great success here by winning the north east college’s title, and it is very well deserved.